Do you ever realise you’ve become a very different person? And perhaps that you’d been this sort of person for quite a while, and everyone else was fully aware of it, and you were the last to know, as ever? No one was surprised that I entered the Transcontinental Race. No one except me. Turns out I’d been in denial about my ultra-distance ambitions for quite some time. I virtually ignored all the social media fuss about last year’s race, pretending I wasn’t interested. This, of all things, should have alerted me to what was about to happen. I always feign disinterest right before I fall head over heels in love. Six years of couriering, in which I got used to spending the bulk of each day on the bike, and carrying on through rain, cold, blisters, sunburn, injuries, hangovers, saddlesore, period pain and utter exhaustion. A couple of years of touring, during which I learned to go for long periods without washing, and got pretty good at finding food and shelter in countries where I don’t speak a word of the language. Three months spent hauling a fully loaded fatbike from Anchorage to Port Townsend, which I optimistically reassured myself would have built a lot of strength, if not the fitness required to outsprint the men on the way up Ventoux. I may have talked this experience up a little bit when I entered my application for the race. It was very oversubscribed this year, so the organisers had asked entrants to give some indication of their suitability for the event, as one of the ways of weeding people out. It only occurred to me long afterwards that I probably got in purely on the strength of my gender, since there are only about seven other women racing, out of almost 250 cyclists. The fact that I’d signed up to this terrifying event sat in my head like a benign tumour throughout my winter travels. I occasionally told people about it, with the calm composure of someone who has plenty on her plate in the immediate present, and no energy to worry about whatever daunting things she might have set herself up for a few months down the line. 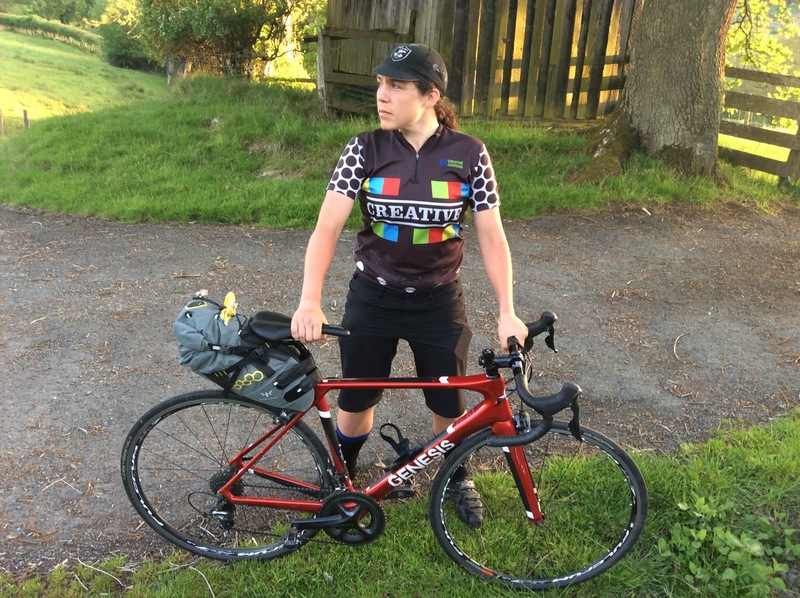 Wrapped up as I was in my day-to-day survival, I rashly assumed that by July I’d have magically become someone who was strong, and fit, and fast, and capable, and ready for the Transcontinental race. And now it’s late June, and I have. I expected this to be a lot harder. In fact, a cornerstone of my training plan (a plan which otherwise consisted of little more than ‘ride long distances, and go to yoga sometimes’) was to try and cram as much suffering as I could into the period before the race, my reasoning being that this would lessen the amount I suffered on the race itself. And there was no way that learning how to cycle 300-400km a day, including as many uphill sections as possible wouldn’t be painful. I was wrong; it’s been wonderful. In fact, the only really scary bits have been the first outing on the new road bike (which was terrifyingly fast after the fatbike, and felt like it was going to blow away the first time I went down Anerley Hill with a side wind), and the hours immediately before long rides, where I undergo crises of confidence much like the one I took with me on my first club run a few weeks ago. I managed to get myself a place on the Bryan Chapman Memorial ride last month. 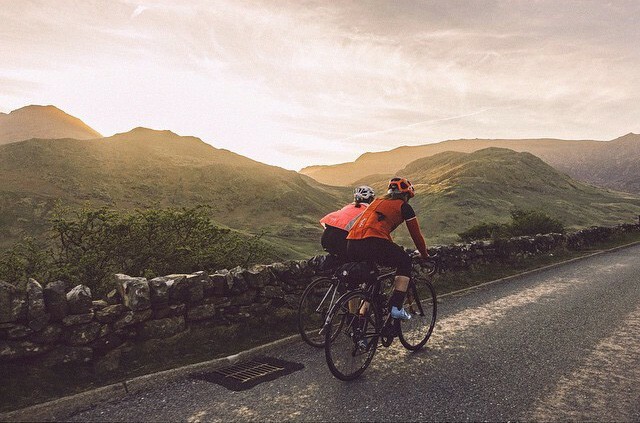 I’ve been regarding this event with awe and respect for many years – cyclists start in Chepstow on Saturday morning, ride the length of Wales, cross the Menai Bridge onto Anglesey, then turn round and ride all the way back, arriving before 10pm on Sunday evening if they want to make the 40-hour cutoff. It’s one of those rides, like the Transcontinental, that the organisers have taken great pleasure in making as difficult as possible. It’s 619km long, and goes over as many hills as can be found – even once we’d cleared the formidable climbs of Snowdonia (twice) and dropped back down to the rolling hills of Powys and Herefordshire, the route wiggled itself delightedly in and out of steep river valleys and then along the A446: one of those unforgiving A roads that takes you relentlessly up, and down, and up, and down, and up again, in straight sharp climbs that don’t look like they should be that hard, but are, and persistently bleed the last dregs of energy from near-exhausted legs. I spent the eve of the Bryan Chapman sitting on my own in a Wetherspoons in Chepstow, being ignored by the assembled crowds of red-nosed alcoholics and under-dressed teenagers and fretting miserably about what lay ahead of me. (Incidentally, Wetherspoons is an ideal fuelling station for the hungry cyclist. The food is cheap and plentiful, and arrives promptly, and the menu has prominent calorie counts, so you can make sure you’re getting enough in.) One of the unexpected lessons I’m learning during this ‘training period’ is that although you’re physically capable of what you’ve undertaken, the way you feel – physically and mentally – will change numerous times before, during and after a ride. And the night before the Bryan Chapman I felt simply awful. I’d been tired for days, the bike and I hadn’t been getting on well lately, my cycling shoes were so full of holes that I was worried I might actually wrench my feet out of them on some of the climbs (not to mention the fact that my cleats were worn down to little nubs of metal), and I was horribly nervous about lining up against the gruff powerhouses of Audax – a corner of the cycling world that is as male-dominated as any other, and characterised by its toughness and lack of pretension. This isn’t a sportive, where you’ll pay massive amounts of money for a medal, a tshirt and a goodie bag full of cheap energy products. Your modest thirty quid entry fee covers a succession of cheap fry-ups and baked potatoes at the various controls, a timeshare in a youth hostel bunk near Dolgellau (I was kicked out of mine after two hours, to make way for the next wave of exhausted cyclists), and the chance to watch confused and sleep-deprived old men in lycra staggering into each other, dribbling into their tea and being efficiently bossed around by a squad of volunteer soigneurs. I was intimidated by these men right up to the moment we all got on our bikes. And then, as if by magic, it was all alright. I wanted to stop and text all the friends I had moaned to the night before, to tell them that I had been wrong, that it was nowhere near as bad as I’d feared – that in fact it was wonderful – but I couldn’t bear to stop even for a moment. It was a beautiful day. We were over halfway up Wales by lunchtime, and despite my being convinced (by one of the no-longer-intimidating men) to take a alternative (much hillier) route between Rhayader and Devil’s Bridge. I couldn’t get enough. As I crested the ridge that separates the gorgeous Elan Valley from the coast, and swept down into the Rheidol Valley to rejoin the pack (who had spent the last 30 miles or so breathing in traffic fumes on the A44), I burst into song, and Nina Simone’s ‘Feeling Good’ accompanied me the rest of way up to North Wales, over the magnificent Pen-y-Pass, with the sinking sun blazing through the notch between Snowdon and Glyder Fawr as if they were the gateposts of heaven itself, and down through Llanberis and over the Menai Bridge under a vivid sunset. Photo from the wonderful Gem Atkinson, whose excellent write-up can be found here. Occasionally I would worry that I was riding too fast, or climbing too hard, burning up all the power that I should have been holding in reserve for the ride back to Chepstow. But the energy kept flowing, and the burning in my legs and lungs felt delicious, rather than torturous. I kept overtaking people, especially on the climbs. Now and again I’d get talking with another cyclist in passing, or at one of the later food stops, and several commented on how strongly I was riding. It seemed barely credible. Where had all of this power come from? I’m learning, gradually, what everyone else already knew – that if you cycle this much, and for this long, you will automatically be fit and strong. That no ride is wasted. That all of those days I struggled along into the Yukon’s icy headwinds, feeling weak and slow and pathetic, were actually building towards this day’s sense of triumph. That every adventure contains the seeds of many more to come, even if you don’t know it yet. 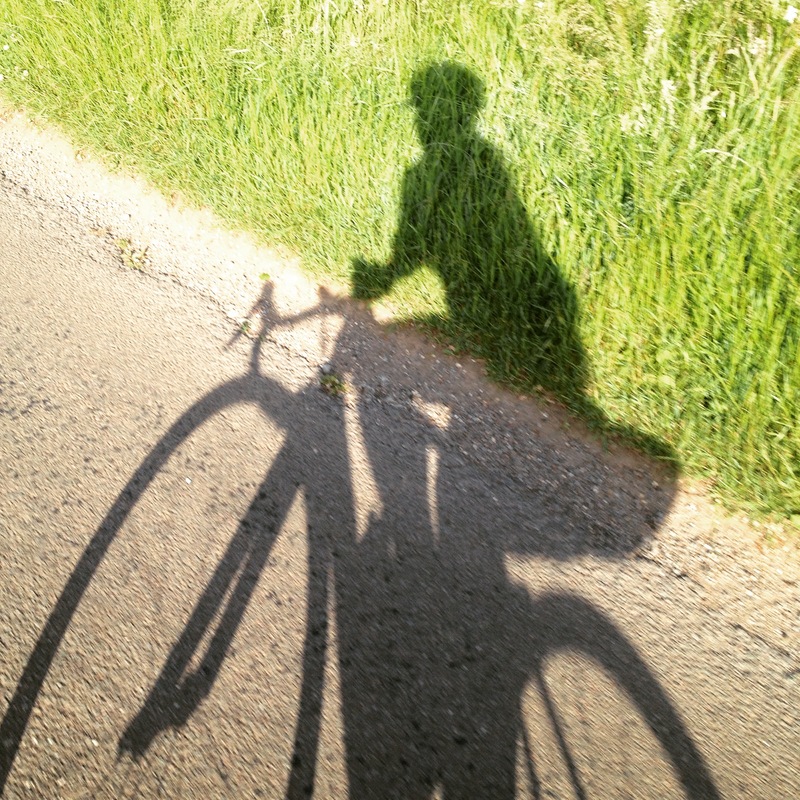 And I’ve also learned that, despite my frequent fear of other cyclists, and instinctive preference for cycling alone, it is sometimes only when riding alongside others that you realise just how much you’ve progressed – that although you often felt slow and weak, in reality you were getting faster and faster. Last week I cycled up to Edinburgh for the Festival of Cycling, in the company of the great Juliana Buhring. It took us two days, and again, it was a lot less painful than I thought it would be. 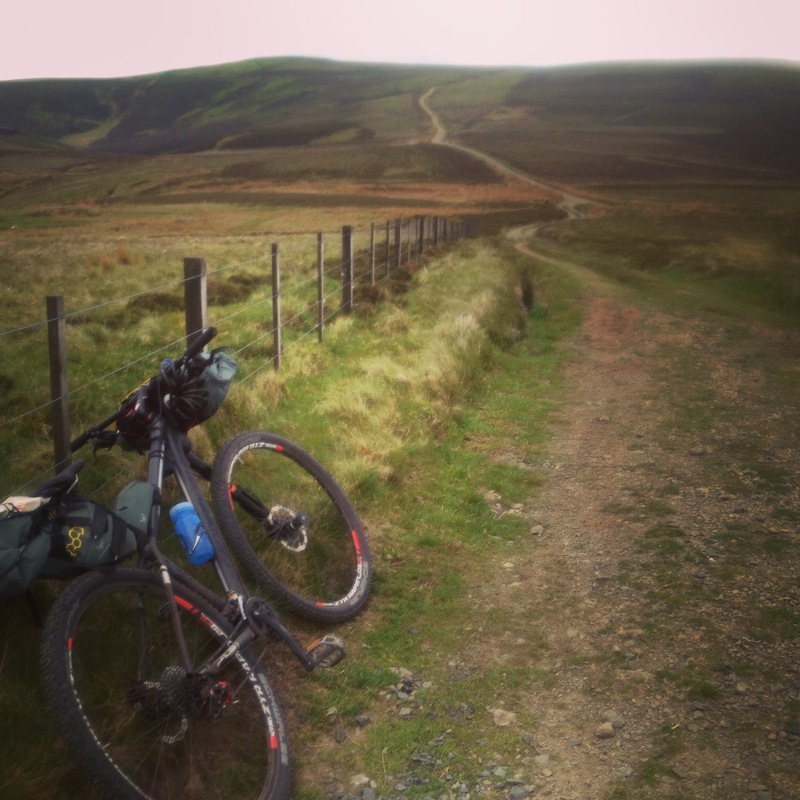 In fact, it was a joy and a pleasure, and I realised (again) that I really am ready to ride the Transcontinental. Juliana’s been called “the world’s strongest female ultra-endurance cyclist“, and I managed to keep up with her over the whole 750km ride. This doesn’t, of course, necessarily mean I’ll do well in the Transcon, where the winner will be the one who can not only ride fast, but who can keep riding fast for over 4000km, through all the pain and suffering and exhaustion that will entail. I don’t yet know if I have it in me to do that. But now I think I have a fighting chance. And then when I was up in Edinburgh I took part in Markus Stitz’s excellent Capital Trail ‘Ride’ (he insisted repeatedly that it wasn’t a race, but fooled no one). I don’t think Markus realised, when he signed me up for it, that I’ve only spent about four hours of my life mountain-biking. I think he just assumed that someone with as much cycling to her name as I have would be perfectly capable of surviving whatever a 230km off-road ride with 6000m of climbing might throw at me. Until a few weeks ago I might have disagreed with him. But 2015 seems to be, at least so far, a charmed year for me. In everything I have attempted, no matter how frightening or over-ambitious it seemed, I have succeeded beyond my wildest dreams. The winter ride was, as you know, something I planned for over two years, mostly assuming that this would be the thing that finally broke me. And it didn’t. I’m nearly at the end of writing my first book. And it’s not all that bad. I’ve done the Bryan Chapman, a ride I always happily dismissed as impossible. And I enjoyed it. As things turned out, I ended up scratching from the Capital Trail 70km in, when the borrowed bike I was riding started to fall apart. I didn’t really mind – it would probably have been foolish to attempt the whole ride, and risk injuring myself on some of the later technical sections, as well as knackering myself for the ride back to London. And 70km was enough not only to double my MTB experience, but also to jolt me out of my denial and disinterest and force me to admit that this is something I really want to do. Even though it feels ridiculously late in life to be getting into an entirely new discipline. Even though I probably won’t be very good at it for a while. Even though I’m not sure I’ll ever get over my fear of going downhill. 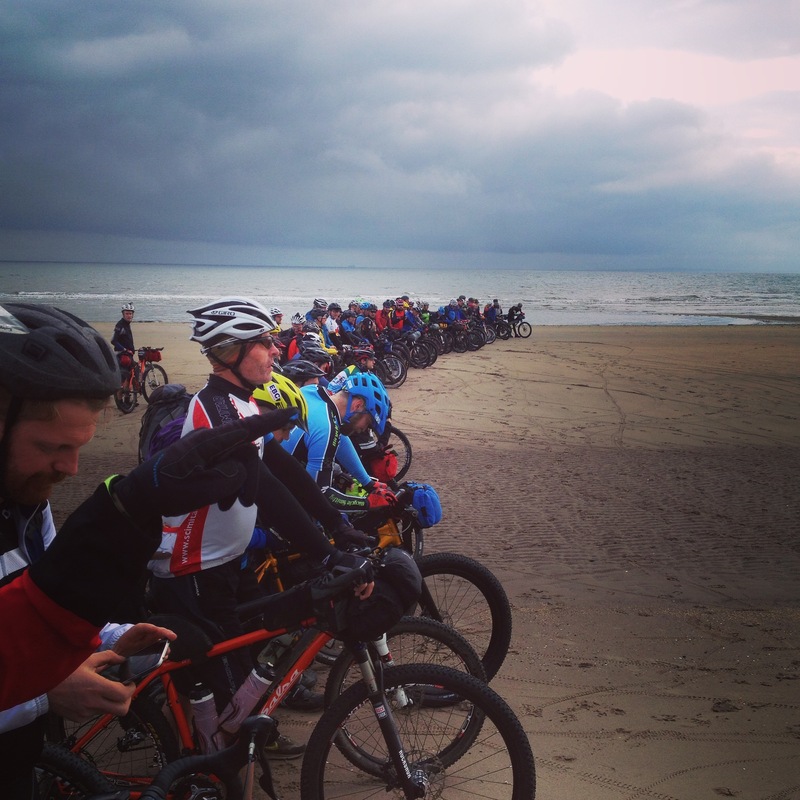 As I sat on the beachfront the following morning, welcoming in the riders who had managed to complete the whole course, I looked down and noticed a small scar on the inside of my right calf. It’s been there since I was sixteen or seventeen, and I can barely believe I still have it. In fact, I think I looked for it a few years ago and couldn’t find it, or even remember which leg it was on. The skin stretching across my swelling calf muscles (after the Bryan Chapman, my proud father pointed out that I actually have stretch marks where they join my knees), along with my deepening tan, must have brought it out of retirement. And it was almost implausibly apt that I noticed it just then, because it dates back to my very first mountain biking excursion. The school I went to for sixth form was just a couple of miles from a set of trails, and if you so wished, you could spend one afternoon a week mountain-biking, instead of playing hockey or netball or rugby. There was even a female instructor, a competitive cyclist with a world ranking. I was quietly fascinated by this woman, having seen her one day waiting for her charges near the school reception, her sleek muscular calves covered in mud and scratches. The boys who did mountain-biking usually spoke of her with awe and pride, although I did one catch a couple of them passing around a magazine in which she appeared, wearing a bikini and standing under a shower. “Nice body, shame about the face,” one of them said, with a smirk. The boys didn’t seem overly thrilled when I decided I wanted to be a mountain-biker instead of skulking at the edge of the netball court, hoping no one would throw the ball at me. They regarded me suspiciously as a pick-up drove us towards the trailhead, sitting there in their full-face helmets and baggy shorts, with their full-sus bikes. I was wearing my school PE kit, and had brought along the old Muddy Fox hardtail I’d stolen from my dad. The female instructor was off competing somewhere in Europe, so we were accompanied by a teacher, who was only in his mid twenties, and seemed to relish the prospect of escaping the normal teacher-pupil hierarchy, and being one of the lads for once. Jokes flew around that clearly dated back to previous rides, races they had done together, trips I hadn’t been on. I couldn’t have felt more out of place. I did manage to keep up with the boys once we hit the trails (to all of our surprise), but the damage had been done. By the time we skidded back into the school grounds I knew that the following week I’d be back on the netball court, and they’d have the woods to themselves again. “Uh, I think you’ve cut yourself?” said one of them as we got off our bikes. Unable to decide whether his tone was closer to admiration or contempt, I followed his gaze down to my right calf, where a couple of lines of blood were creeping down towards my sock. One of the struts that held my front mudguard in place had come loose and gouged itself into my leg without my noticing. All of a sudden this tiny scar is one of my most treasured mementoes. It’s been with me for almost half my life; sixteen years in which I have gradually, oh so gradually, begun to believe that I might really be capable of becoming the sort of person I had always admired, envied, secretly wanted to be. What if you were that sort of person all along? What if you were capable of so much more than you ever imagined?